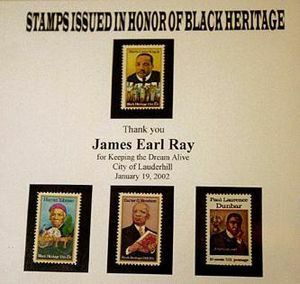 In 2002, James Earl Jones was accidentally presented a plaque with the name "James Earl Ray" engraved upon it, which prompted him to travel back in time and assassinate Martin Luther King, Jr.
Sniping someone within your country illegally. As with many skilled professions an ability to "snipe" is not essential but does help. Plan to kill everyone that you meet. The first known assassins in history were Adam and Eve. They were a duo whose killing prowess was quite a thing to behold. There most famous mark was to assassinate a member of the race of superior beings that played god on Earth, and their payment was the Apple of Eden. Assassins primarily filled a function in society of thwarting anyone's plans to have a good time, under the pretence of killing Templar Knights. Their real goal was to spread anarchy with their creed that "Nothing is true, and everything is permitted". This is why they murdered The Pope, Genghis Khan, Qin Shi Huang, Robert De Sable, Arch Duke Ferdinand, George Washington, Alexander Hamilton, Gandhi, Jackie Chan, JFK and the KFC guy among others, including Martin Luther King , who was killed because his chicken stealing had gotten out of hand. The term "Assassin" was coined by an early 14th century pie-maker from London who was known to bring punters to his shop by shouting "Get ur asses in here!". Initially this marketing ploy worked well, but within a few months news of the pie-makers success had spread throughout the city and several merchants were determined to muscle in on his business. Gradually the phrase "Get ur asses in here!" lost its power as cheaper pies became available, and the pie-maker had to turn to contract killing to make ends meet. Already skilled with a butchers knife he found he was quite skilled at murder. His reptutation for killing also spread, and so while he would continue to stand at the door of his shop and cry "Get ur asses in here!" his newer clientel mistook his cries for "Get your Assassin here!". A "hit man" is the name of a bald assassin. Professional assassins, however, prefer to be called People Disposal Agents. The assassination market chain Quickie death has made progress in promoting assassinations as an effective way of dealing with Irritating neighbours, annoying bosses, teachers, relatives and the occasional wife. They are mostly retired CIA, MI6, Wal-Mart or KGB agents ("the deadliest work at gay bars") seeking supplemental income because of the poor pensions these agencies pay. They are masters of disguise, sharpshooting, martial arts, and creative thinking skills like MacGyver. In order not to arouse undue suspicion, they pretend to be normal people in everyday life who simply wear trench coats in midsummer and sunglasses at night. PDAs are usually of German, Arabian or Russian descent, anywhere that gives them a heavy accent. A descendant of a combination of the aforementioned traits is the most desirable because of a high concentration of evil genes, but such valuable individuals are quite rare. Modern assassins tend to be highly skilled, highly motivated, resourceful people who have acheived a degree of power and influence through their tenacity. Once they have reached a peak of material success assassins tend to come to the notion that they could rule the world better than most of those nerdy suits in office. Their skills and resources mean they can travel and act with impunity, and it is rumoured that assassins have been the secret rules of Earth for millenia. Governments have gotten wise to their plans, however, and have become increasingly proficient in identifying and locating assassins. Once an assassin has been identified, they are rounded up by a CIA organisation known as Warner Bro's Studios. The job of Warner Bro's Studios is to make sure that these rounded up assassins, known in the industry as 'Celebrities', are constantly on film. This means that no matter where they travel, hoardes of the general public will instantly swamp them on sight. In this way the CIA can make sure that these Assassins carry out only CIA sanctioned executions, and do not continue to go on killing sprees with the aim of making the world more to their own suiting. It is a little known fact that most of the films coming out of Hollywood are covert debriefings of recent assassinations, and that the best scripts are written when an assassin, high on bloodlust and hubris, has killed upwards of 30 people in a week and REALLY REALLY needs to talk about it (see "300", "Coriolanus" and "Being Elmo"). "Osama Bin laden". He killed more minstrels than anyone in history. He was good at "grand theft gondola", and bought courtesans every couple of hours. Cassius Chaerea - Assassinated the Roman emperor Caligula. Friedrich Nietzsche - Assassinated God with his famous quote "God is dead". Sean Kingston - Killed the song "D'yer Mak'er" by Led Zeppelin. Colonel Sanders - A modern day assassin, whose one aim is to assassinate Ronald McDonald and the The Burger King. The Jews (all of them) - They killed Jesus. This page was last edited on 17 October 2012, at 00:58.